A plastic drinking straw is provided with nearly every soda purchase, and with many cocktails. Using a straw in certain social situations can cause a degree of anxiety. There are a number of reasons straws are provided, and a handful of different kinds of straws that have some slightly different rules about them. A drinking straw functions by suction. 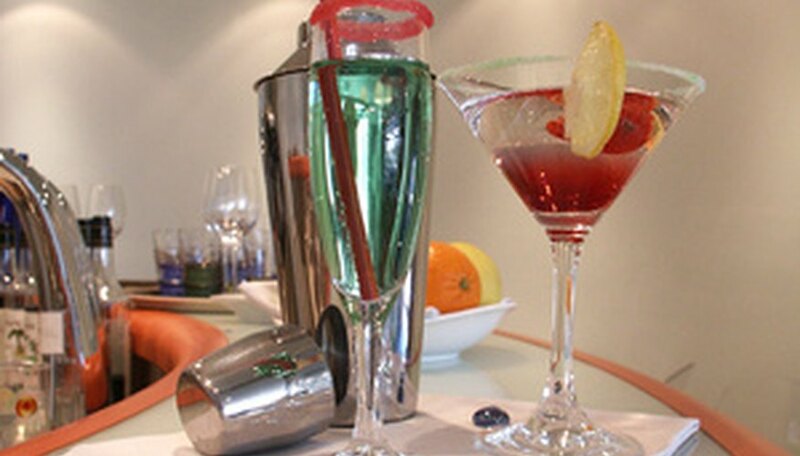 At some establishments, the outside and rim of the glass are comparatively dirtier, so the drinking straw is perfect for getting the drink into your mouth without having to touch the outside of the glass with your lips. They're less often provided at bars with beer because alcohol kills any germs that might be on the rim. 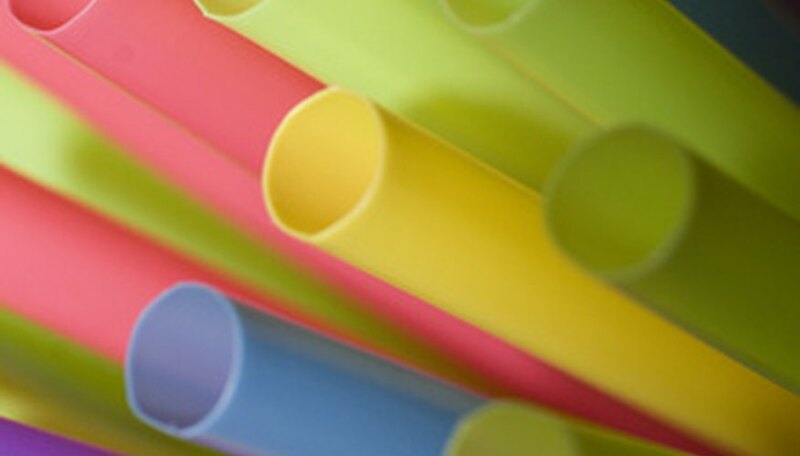 Drinking straws are typically made of plastic, although there are also paper and glass varieties. The paper type are far less common these days, because the paper begins to break down after a few sips. Glass ones are a lot nicer, and are usually served at parties; they're also a lot harder to clean. You'll find plastic straws in a couple of different sizes. There are large ones (anywhere from 1/4 inch in diameter up) which are typically used for drinking, and stirrers (1/8 inch or less) which are sometimes included in mixed drinks. A rule which should be obvious, if it wasn't made painfully clear during childhood, is to never slurp through the straw or blow bubbles. While they can recreate the better parts of your childhood, a situation where etiquette matters shouldn't be the time or place to regress. You want to drink silently, in short sips. When you're served a narrow stirrer-like drinking straw, you should probably not use it to drink through unless the glass looks really grimy. If you have been given a drink with a straw, and you don't really want the straw, you should dispose of it quickly and quietly. Wrap it up in a napkin, and wait for the nearest trash can to become available. Never drop the straw on a serving tray with other drinks. If someone takes the glass back, however, you can put the straw back in then. When it comes to glass drinking straws, don't throw them out--they're expensive. Etiquette sometimes battles with health, and there are a couple of rumors about drinking straws that make it difficult to decide whether or not you want to use one. 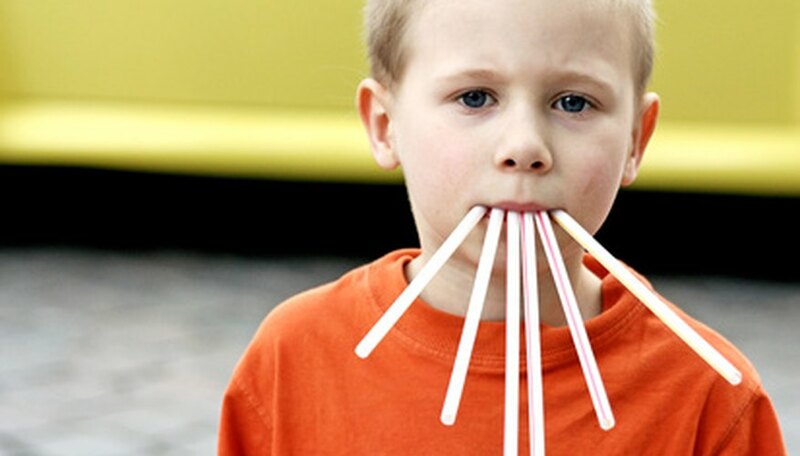 Largely, use of a straw is up to you, but consider a couple of things: some claim that drinking soda (or soda-based drinks) through a straw keeps them off your teeth, and prevents cavities or damage. However, using a straw may promote wrinkles around the mouth. So it becomes a trade-off. The best way to prevent tooth decay, however, is drinking water instead. Slashfood: Drinking Straw - Friend of Foe? How Do I Connect Straws?